Thomas W. Douglas couldn’t have timed it better if he had tried. The Bach Choir of Pittsburgh, conducted by Mr. Douglas, was giving the world premiere of “Smoke and Steel,” a work about the steel industry by Nancy Galbraith. Toward the end of the piece, a freight train chugged by the Carrie Furnaces, the non-operative blast furnaces in Swissvale that had turned into a concert venue on Sunday afternoon. The loud interruption normally would have been an intrusion, but here it was eerie and fitting. The music was based on Carl Sandburg’s 1920 poem of the same name, which details steel and steelworkers with vivid imagery and compassion. The train happened to arrive at a break between movements; the audience and musicians listened to it pass by for a few minutes before Mr. Douglas, the choir’s artistic director, started conducting anew. That train, a reminder of industry’s durability in this area, became part of the music. 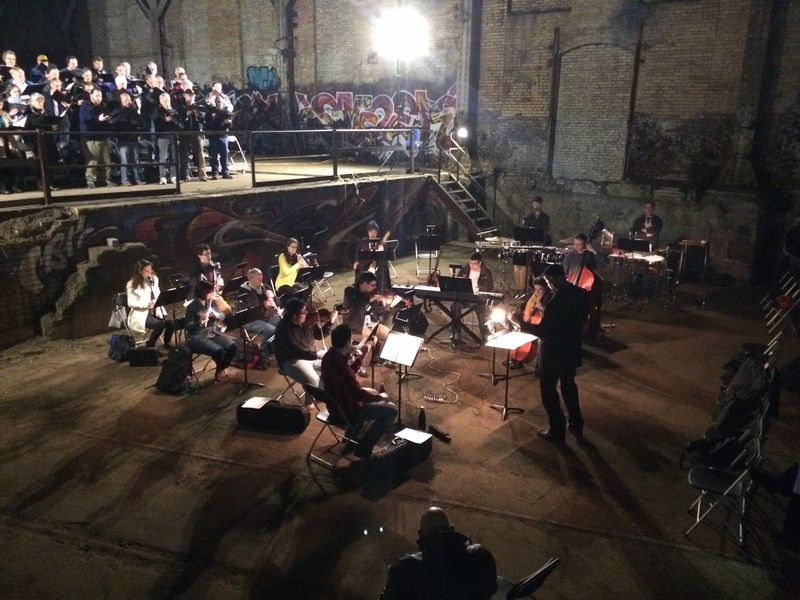 The Bach Choir is one of the city’s more adventurous music organizations, and the decision to perform the world premiere of this work at the Carrie Furnaces site was brilliant. The cavernous, graffiti-covered space was perfectly suited for a musical commemoration of the region’s steel legacy. View full article on post-gazette.com.